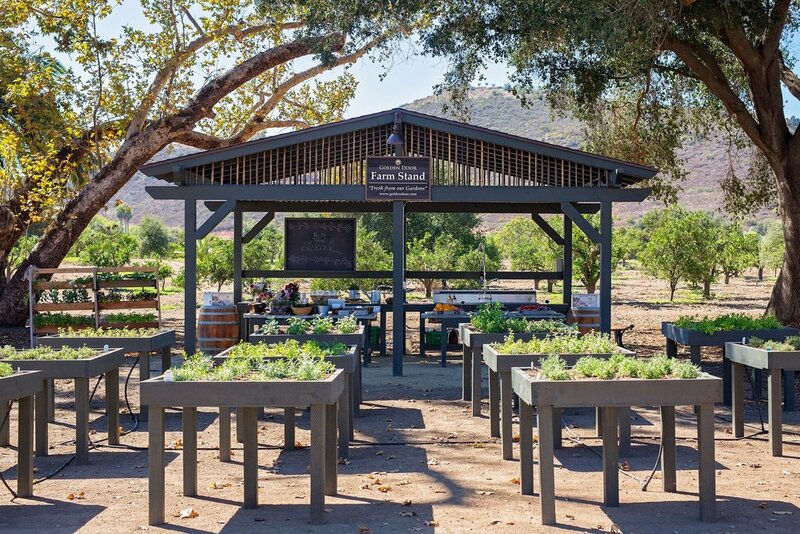 Golden Door, awarded the “World’s Best Destination Spa” by Travel + Leisure magazine, and located just a few miles north of San Diego, is opening a Farm Stand on October 15th, 2016. Open four days a week year-round, the Golden Door Farm Stand will sell organic produce such as herbs, kale, figs, melons, carrots, citrus, beets, eggplant, pomegranates and more from the resort’s gardens, as well as marmalades and preserves from its artisanal foods line. “Golden Door’s magical gardens are treasured for the abundance of organic produce they provide our guests. We are overjoyed to share their bounty with the local community, while continuing our mission to donate all of the proceeds to charity,” says COO/GM Kathy Van Ness. This is a chance for the community to enjoy delicious, locally grown produce, and be a part of the Golden Door mission—100% of proceeds from all Farm Stand purchases will be donated to help children of abuse.